Sri Lanka’s travel and tourism industry will see a major boost with the opening of Grand Hyatt Colombo for the December season next year – it will raise the bar in the luxury city hotel market in Sri Lanka. Grand in every way, Grand Hyatt Colombo features elegant architecture, spectacular lobby and public spaces, and multiple dining experiences, in addition to a wide range of accommodation facilities. The $ 240 million property consists of 1.1 million sq. ft. built up area spread across 49 levels. It will have 397 rooms, 61 suites and 100 serviced apartments (ranging from one to three bed rooms). Hence Grand Hyatt Colombo will be the only five-star property catering to both short and long stay market segments. Furthermore, the luxury hotel will have 10 restaurants including three restaurants located at 43/44 levels with spectacular views of the city and Indian Ocean. 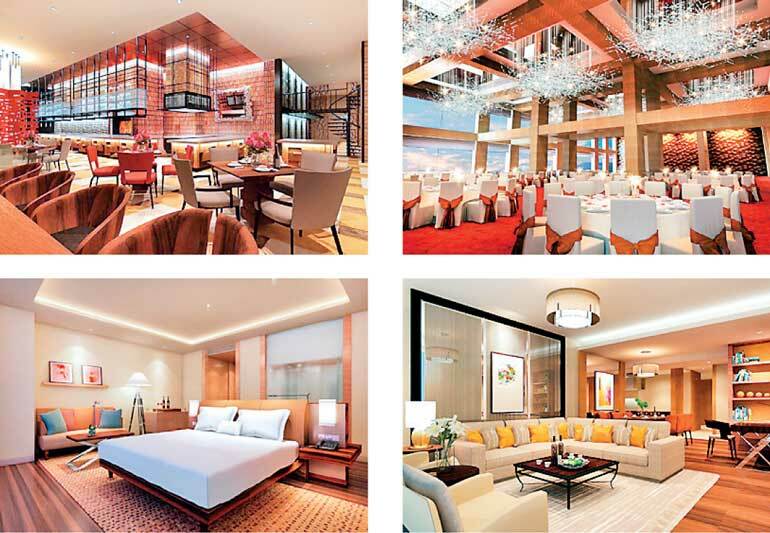 Grand Hyatt targets high end business, official and leisure travellers. Unlike other major hotel developments, Grand Hyatt is a standalone hotel (i.e., not part of crowded integrated developments). Hence Grand Hyatt Colombo will be the preferred hotel of VIP guests because of the high level of security, privacy and convenience it offers. Furthermore the hotel aims to attract grand business and social events. It will have dedicated banquet and conference facilities spread across two floors occupying over 35,000 sq. ft. The hotel’s main ballroom will be able to accommodate more than 1,000 guests. Grand Hyatt Colombo is a project undertaken by Canwill Holdings Ltd. and is owned by Sri Lanka Insurance Corporation (SLIC), Employee Provident Fund (EPF) and Litro Gas Lanka (which is also a subsidiary of SLIC). SLIC has a successful track record of investing in hotels – both public and privately held. These include SLIC’s investment in Club Robinson (now known as Club Bentota) which was exited in 2002. EPF has also turned positive on the tourism sector, and has invested into many hotels. Other projects it has invested in recently include Marriot Weligama. Hyatt Hotels Corporation is a leading American hospitality company and manages hotels under several brands/categories. ‘Grand Hyatt’ is the flagship brand reserved for large properties in major cities and major holiday destinations. As at 31 December 2015, Hyatt Hotels Corporation portfolio consists of 628 properties in 52 counties. Sri Lanka’s City Hotel market has seen a healthy growth during last five years. Average annual occupancy has been above 70% during the same period. Even with expected additions (currently on-going projects), Colombo will experience significant shortage of hotel rooms by 2026. Estimated shortage of room capacity by 2026 is around 12,500 rooms unless new projects are started within next five years.